Invisalign treatment uses a series of virtually invisible, removable, and comfortable aligners that allow you to smile more during treatment as well as after. 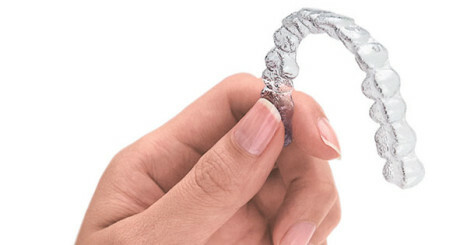 Invisalign clear aligners are made with advanced 3D computer imaging technology for precision fit and reliable tooth movements. Drs. Chris Klein and Brian Klein are experts in clear aligner orthodontic treatment having worked on +1,000 cases. 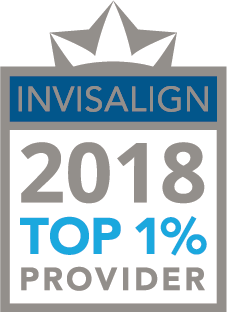 Of note, Dr. Klein has been certified in Invisalign since 2002 and Dr. Brian did his clinical research master's thesis on advanced treatment mechanics utilizing Invisalign. Many orthodontists and even dentists are certified to provide Invisalign, but you can be assured your smile is in excellent hands at Klein Orthodontics. Not only are the aligners virtually invisible, they are removable, so you can eat and drink what you want while in treatment. Plus, brushing and flossing are no problem. They are typically more comfortable than braces, with no metal or wires, which usually means you spend less time in your doctor's office getting adjustments. No metal or wires also means significantly less chance of breakage or the need for an emergency office visit.